A lot has changed in NoDa — or North Charlotte, as it was once known — over the last 50 years. As many longtime Charlotteans are aware, North Charlotte began as a textile town; a place defined by its warehouses and mills, but more by the workers who made those warehouses run and lived in the homes that now serve as a hipster haven. But this isn't the story of how NoDa came to be. It's the story of the little red house on the corner of North Brevard Street, where those hard workers wrapped around the building to wait for an "All the Way" burger on lunch breaks or some livermush to start the day, and how Charlotte's new light rail extension will soon bring about more change to a local gem that's remained the same as the neighborhood around it has transformed. 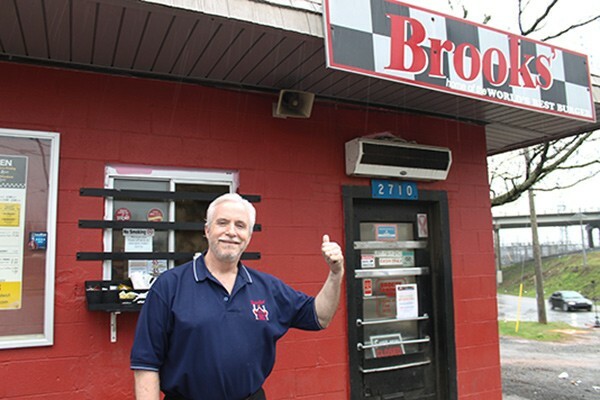 The restaurant, Brooks' Sandwich House, has always been known for its burgers and hot dogs — some call then the best in the world. In the '70s, breakfast started at 6 a.m., and workers from Highland Manufactoring Co. Mill — the factory across the street that made gingham — ordered egg sandwiches with smoked sausage, livermush, bologna or country ham. Some carried out and others sat at the nearby picnic tables in a gravel lot. At any time of day, you could buy a hot dog for 15 cents or a hamburger for a quarter. 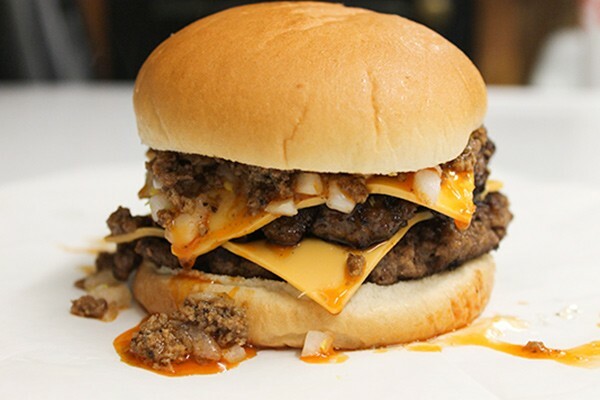 To really top it off, you had to go "All the Way" by adding the mustard, onions and homemade chilli, which dripped down the sides of the burgers onto your fingers as you chomped in — that's what made Brooks' famous. The restaurant's founder, Calvin Teal "CT" Brooks, Jr., tried out his chili recipe on his twin sons for the first 13 years of their lives until he got it exactly right. "Dad was one of those type of people that could make something good out of nothing," says Scott Brooks, Calvin's son who now runs the restaurant with his twin brother David. Scott Brooks, co-owner of Brooks' Sandwich House. We're standing with him outside the burger shack on a recent rainy afternoon. Despite the weather, the outdoors-only restaurant is pulling in regular, steady business. Calvin was known as a great cook, and friends regularly suggested he should open a restaurant. 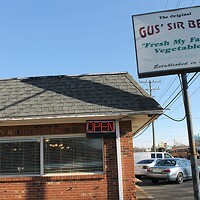 By the time he perfected his recipe, he still owned auto body shops on 16th Street and in Mount Pleasant. He sold them and used the money to open Brooks' in 1973. In August, Calvin passed away at 90 years old, but his legacy still lives on today. 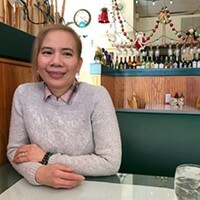 Besides the opening time, which was pushed from 6 to 7 a.m. — since they no longer cater to the same early-rising industrial workers they did in the '70s — not much has changed at the neighborhood burger spot. Of course, the prices at the stop — where only cash is accepted — have risen since back in the day, but the concise, simple menu and high-quality ingredients have remained the same. "If it ain't broke, don't fix it," Scott says. It's a cliche heis more than comfortable referencing because he lives by it. And Brooks' doesn't need fixing. Despite the crowds, the cash-only policy, and the fact it's closed on weekends, customers keep coming back, pulling up anywhere they can park in the unstructured, gravel lot on weekdays. What brings them back? The brothers give most of the credit to the food, but camaraderie might play a role as well. No one in the Brooks family has met a stranger. As I stand with David at one of the picnic tables, orders clamor through the loudpseaker and we're greeted by multiple customers who have become lifelong friends. One yells over to let me know he's been coming here since the '70s. Another holds up his brown bag to tell Scott he got off just in time to make it before the 3 p.m. closing. He says he loves the hot dogs and rubs his considerable belly as if to prove it. "You can tell I do enjoy it," the customer says. To a conspiracy theorist, the guy would seem like a paid actor, planted there just to make my article. Scott turns back to me. "That's what it's all about," he says. The restaurant still carries a hometown feel, but the Brooks family once worried the small shack had lost its small-town appeal. The textile mills shut down soon after Brooks' opening and the area became known as a "bad neighborhood." "Nobody knew what NoDa was when we first came over here," Scott said. "It's a good place to go get in trouble. You might not even come back. I don't know. It was that bad." In the '90s, artists recognized the beauty in the mills' historical architecture. They transformed the area, slowly, into the art and entertainment district it is today, although even that has now tranformed into more of a bars and entertainment district. The years of constant change created a diverse clientele for the hamburger joint. Uniforms and suits mingle in line for Brooks' burgers; beat-up trucks and shiny luxury cars park at random angles in the lot. Former Gov. Jim Hunt was a friend of Calvin's, a relationship built solely on Hunt's love for the restaurant's food. As humble as the burger shack's origins are, Scott is not modest about the restaurant's well-deserved popularity. "As far as taste is concerned, value is concerned, I'll take on all comers," he says. "It doesn't make any difference who it is. You can go out and pay eight, 10, 12 dollars for a hamburger if you want to. You won't find one that taste any better than that." Another thing that hasn't changed: the secrecy of the famous chili recipe. Brooks' staff has never leaked its recipe, to the chagrin of Guy Fieri, who has been wanting to visit Brooks' to film an episode of his Diners, Drive-Ins and Dives show on the Food Network, but under a condition that Scott won't meet. "He had his people call me three or four times," Scott says. "I told that girl, 'If you're as pretty as you sound, I'm sure you're a nice person, but I'm not going to show him how to make that chili.'" They don't need the publicity anyway. They've been on Carolina Camera three times and John Boy and Billy's radio show. They've won countless awards and made multiple publications' "Best Burger" lists, including CL's list. They've even had requests to ship their chili all the way to New Zealand, to which they obliged. "To be honest with you, I don't really need anymore business," Scott says. "This place here is designed to do about a third of what it does. Everything else, it pretty much overworks you. But what are you gonna do ... I'll take my good fortunes as I can get them." Nearing 60 years old, Scott and David are considering the future of the restaurant amid explosive development in the area. A new extension of the LYNX Blue Line, its tracks sitting high on a bridge across from the hamburger joint, with a station right down Brevard Street, is set to open on March 16. With that development comes endless possibilities for NoDa, and developers are well aware of it. The Brooks brothers say people have tried "devious ways" to get his land. "You'd be surprised some of the things that people tried to get me out of here, to get my property," David says. On a walk around the corner from Brooks', you can see townhomes being built with prices starting at $500,000. The houses nearby are valued at over $700,000. "That's wanting to live next to the hamburger place real bad, isn't it?" Scott says, laughing. The brothers have been offered "a lot of money" to move, Scott says, but not enough yet. He has explored potential options with developers but says he'd like to leave it the way it is, for now. However, he's not sure that's being realistic in the long run. Whatever happens, he wants to keep the restaurant running where it is. "I don't know how long I'll be here after this, but I hope the hamburger place will stay here," he says. "We'll see what happens." Lots of folks, including us, will be rooting for him — "All the Way."